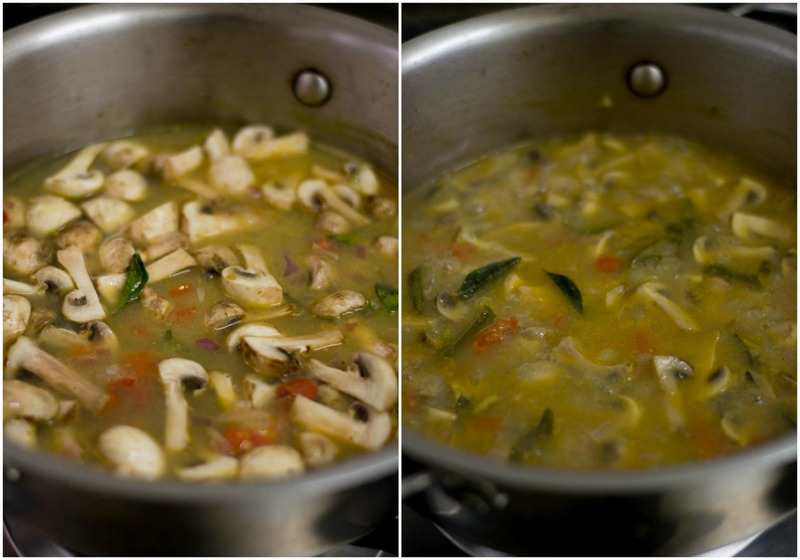 I adapted my vegetable stew recipe and made this Mushroom stew. My father in law loves Mushrooms in any form. So I tweaked my veg stew recipe and it was such a hit at home. The home made masala paste makes for the base flavour of this curry. I do not add coconut milk which is traditional for a stew. I instead made a paste of cashew-poppy-coconut and added it to the stew. 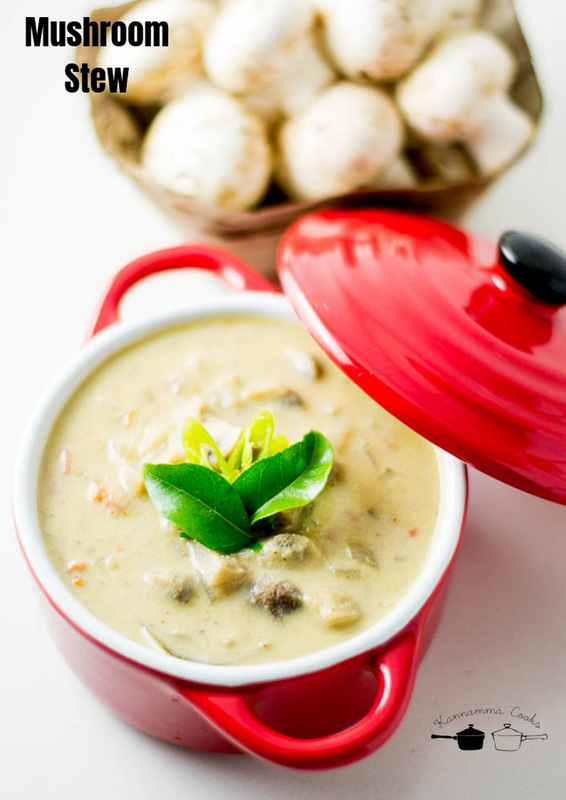 It adds an unctuous richness and also gives the body to the stew. While cashew-poppy-coconut paste is the base of many traditional kurmas, it totally works for this recipe. Do try it at home. Its easy to put together for a weeknight lunch or dinner. 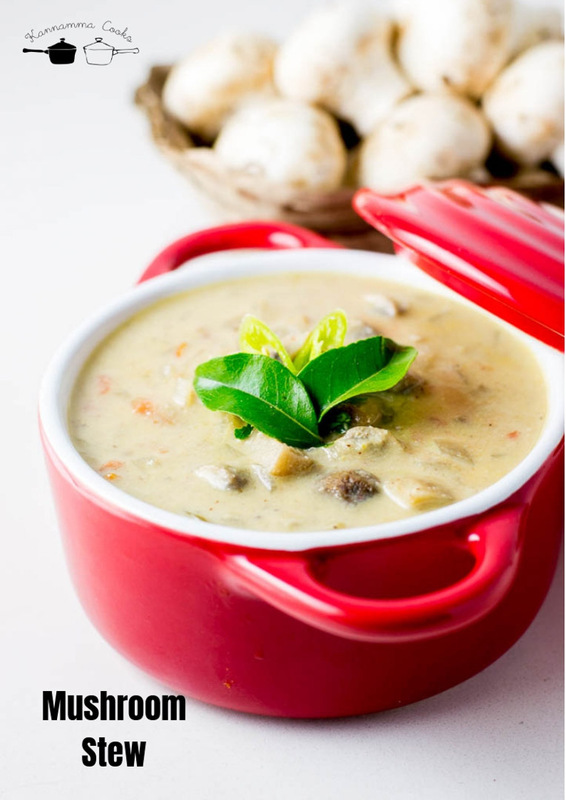 Here is how to do Mushroom Stew. First, we will make a spice masala paste for the stew. Grind together green chillies, garlic, ginger, fennel seeds, cardamom, cloves and cinnamon with half a cup of water to a very smooth paste. Green chillies is the only spice used for the heat in this recipe. So if you want a very spicy stew, add more green chillies to your liking and vice versa. Heat coconut oil in a pan until hot. I love the flavour of coconut oil for this stew. Any vegeteable oil would work perfectly well too. 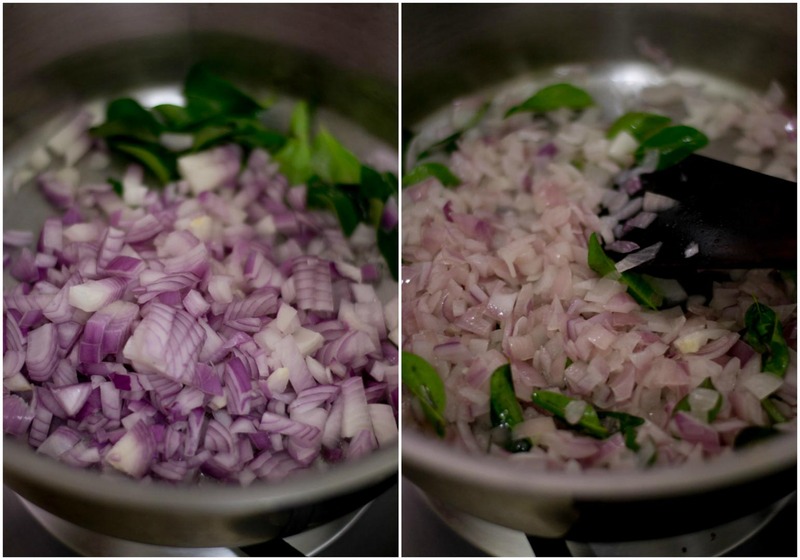 Add in the finely chopped onions and curry leaves. Saute till the onions are soft. Add in the tomatoes and the spice paste. Add in the salt. Saute for 5-7 minutes on a medium flame till the masalas are well cooked and the tomatoes are juiced down and the mixture is relatively dry. 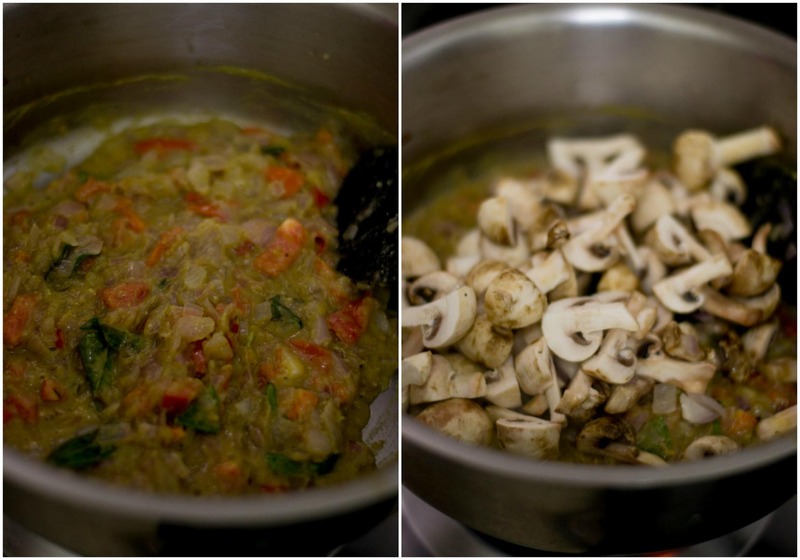 Add in the chopped mushrooms. 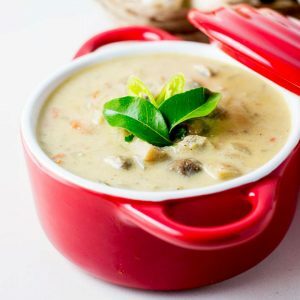 I have used button mushrooms today for this recipe. 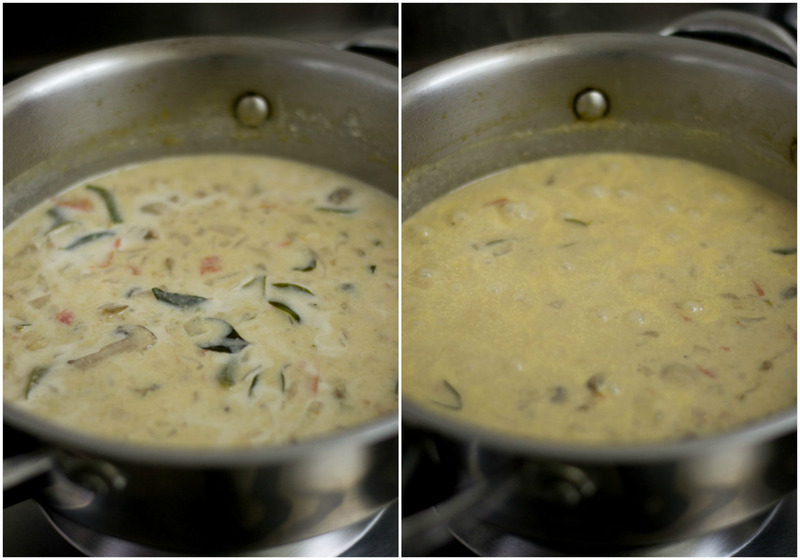 Add in a cup of water and let the curry simmer for 10 minutes. Cover the pan with a lid and let it simmer for the said time. 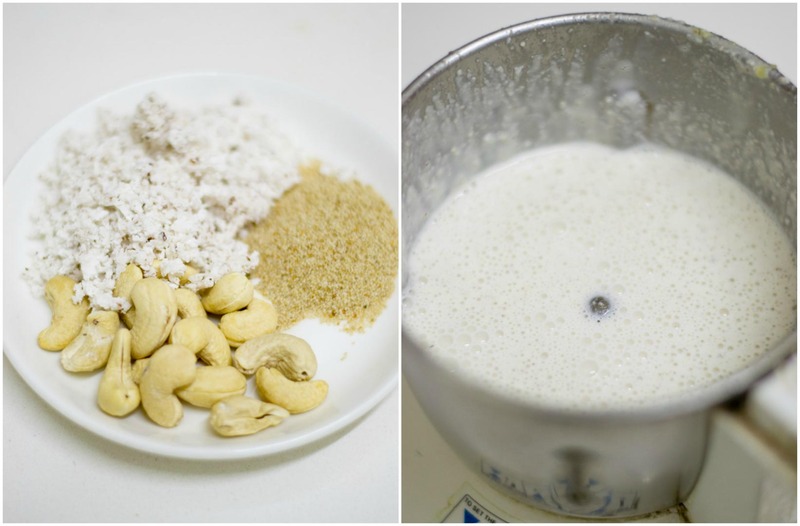 Mean while soak the cashews, white poppy seeds (khus khus) and fresh shredded coconut in half a cup of water for 10 minutes. Grind to a smooth paste. If you cannot source poppy seeds in a country where you live, just omit it. 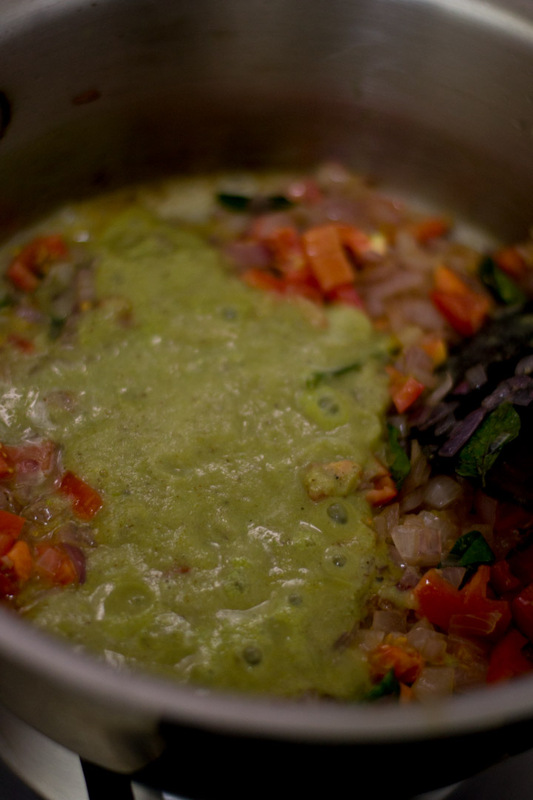 Add in the paste and half a cup of water to the curry. Let the curry simmer for five minutes. Mushroom stew is ready. Serve with appam, idiyappam. It even goes really well with some ghee chapati. Grind together green chillies, garlic, ginger, fennel seeds, cardamom, cloves and cinnamon with half a cup of water to a very smooth paste. Set aside. Heat coconut oil in a pan until hot. Add in the finely chopped onions and curry leaves. Saute till the onions are soft. Saute for 5-7 minutes on a medium flame till the masalas are well cooked and the tomatoes are juiced down and the mixture is relatively dry. Add in the diced mushrooms. 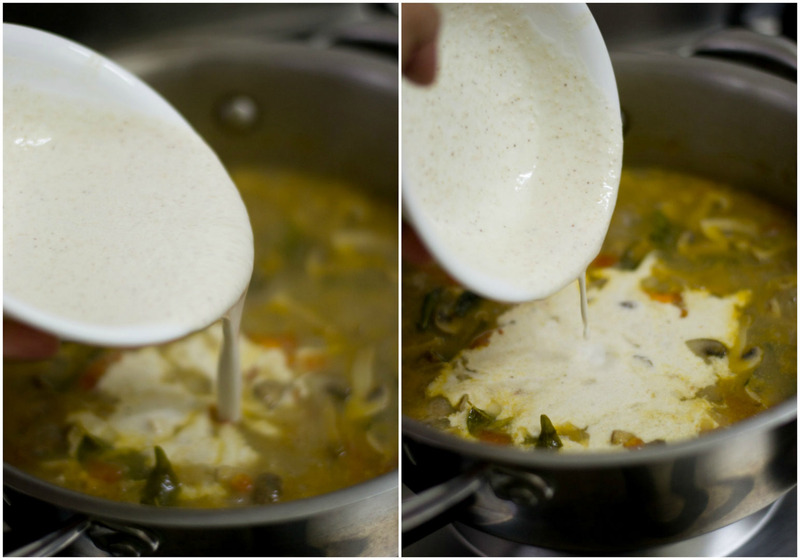 Add in a cup of water and let the curry simmer for 10 minutes. Mean while soak the cashews, white poppy seeds (khus khus) and fresh shredded coconut in half a cup of water for 10 minutes. Grind to a smooth paste. Amazing recipe. I was little short in water and this turned out to be mushroom korma. It was a great companion with coconut rice recipe from Suguna.